I would live here if I could. I practically did even after I switched to another Hostel because 33 was booked. I came to spend time in the common areas because it just felt like home. I love the staff, the space, the cleanliness, the location and just the great vibe there! Had an amazing time, excellent for chilling out. Offers a more local vibe and has a great area to hang out and relax! Would stay again! Nice hostel near the train station. The place has a nice atmosphere and all the things you need like lockers, WiFi etc. Hostel is close to food /drinks outlets, a supermarket and in a nice area. Staff is friendly and helpful. our room could be locked, had lockers, mirrors, electricity sockets, and bars where to hang clothes. Won't comment on other rooms but i assume, similar stuff. Relatively clean hostel but the sofas look and feel like they could do with some extra loving care. Some beds a bit squeaky with no ladder. Otherwise, would definitely recommend staying here in Cape Town! 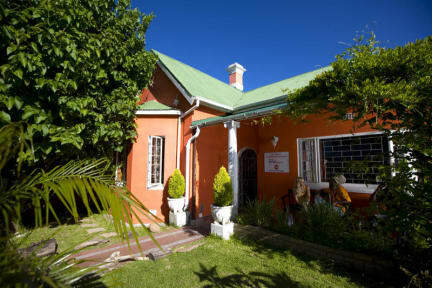 It is a great hostel to stay while in Cape Town. 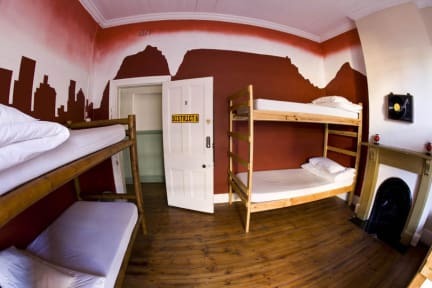 33 South Backpackers is extremely clean and spacious. My boyfriend and I stayed in the private room and it was beautiful! We really enjoyed it. The only downside was the staff. They were nice and polite, but when it comes to recommendations on what to do, like excursions, places to eat, places to drink, etc. the staff was at a loss or did not want to talk to us. Some of the staff would say they did not know or didn't want to talk. Amazing staff and cute place! Had a great vibe and location was a bit far out of the center but made for a really quiet pleasant atmosphere. Lots of restaurants and shops around too. Loved it! Friendly staff, groovy location. Very water conscious so be prepared for short showers and using a bucket to flush. Stayed here for 2 nights with a friend. Was extremely disappointed by the staff member who checked us in, he was extremely unhelpful and mixed up the price several times. Was also disappointed the night after when several staff members were yelling and playing loud music in the kitchen right next to our bedroom at midnight when we had an early flight the next day. The facilities are decent, big beds that are comfortable, good wifi and hot showers.